SegPlayPC 1.5 is puzzle & word games software developed by SegTech. 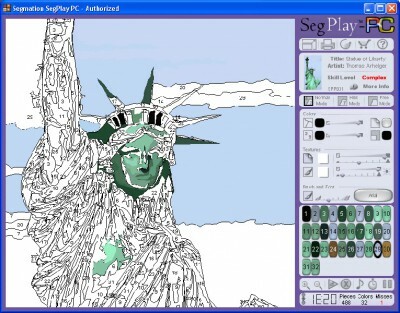 Paint-by-numbers meets modern technology and the result is computerized paint-by-numbers. Designers using Segmation image-processing technology dissect artwork into a variety of patterns. 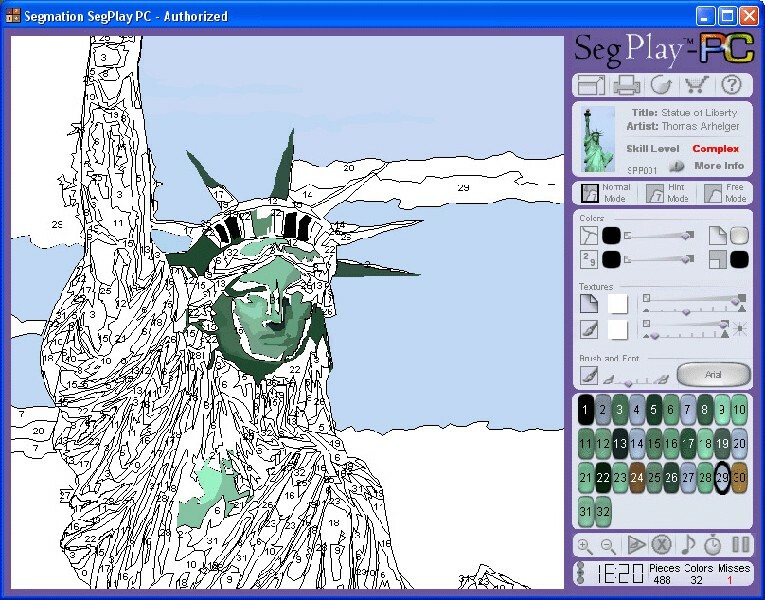 SegPlayPC TM optimizes this concept as a powerful desktop program for Windows 2000 and XP, with twenty images and powerful features for both artsy types and casual gamers. Extremely simple to use and appropriate for all ages, SegPlayPC offers infinite variety. This program is shareware, which means you can download and use SegPlayPC 1.5 for free during 30-days trial period. After this period you gonna have to buy SegPlayPC 1.5 software for $24.95 or uninstall the program. SegPlayPC 1.5 supports English interface languages and works with Windows XP/Vista. Latest SegPlayPC 1.5 does not contain any spyware and/or advertise modules, allowing installing it with no worries concerning valuable information loss. Our website has thoroughly tested games & entertainment product SegPlayPC 1.5, written the review and uploaded installation file (16525K) to our fast server. Downloading SegPlayPC 1.5 will take several minutes if you use fast ADSL connection. Patterns Collection for Paint Shop Pro / Photo-Paint provides 2800 superb colorful patterns in one great collection, many mixed designs, use throughout PSP. Convert numbers or currency to words, in MS Excel ("7" becomes "seven"). Tux Paint is a free drawing program designed for young children (kids ages 3 and up).